I have been MIA for the past year and a half and I really don’t have a good excuse. But, I am happy to be returning to the blogging world and what better way to come back during Cleveland Restaurant week! Restaurant week is a great opportunity to experience what Cleveland’s booming culinary scene has to offer. During restaurant week restaurants are offering $30 three-course dinner menus with some restaurants offering $15 lunch options. Jordan and I went to Lola Bistro, located on East 4th Street in downtown Cleveland. Lola is owned by the famous iron chef and The Chew cast member, Michael Symon. Jordan and I arrived a few minutes early and waited over at the bar to grab a drink. 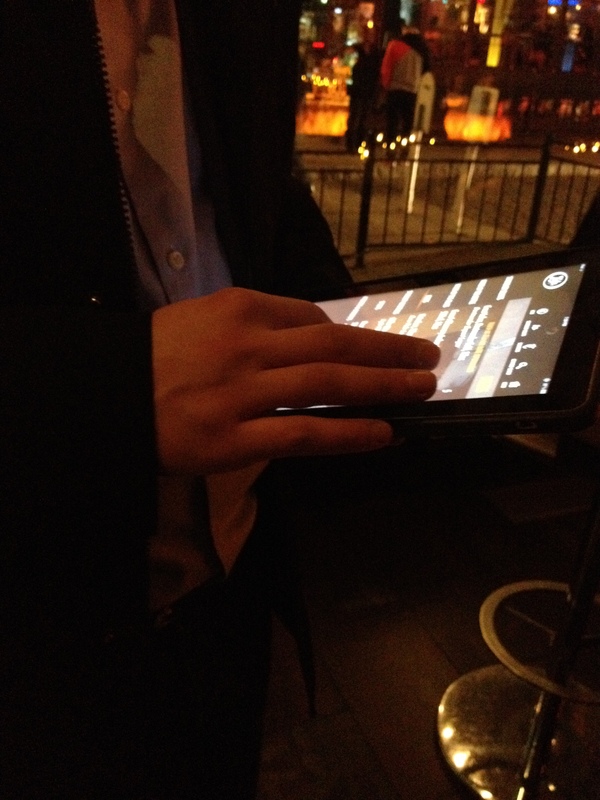 One thing that is very different than most restaurants is that you order your drink with an iPad! Jordan and I found this helpful so that you’re not yelling over someone who is seated at the bar. 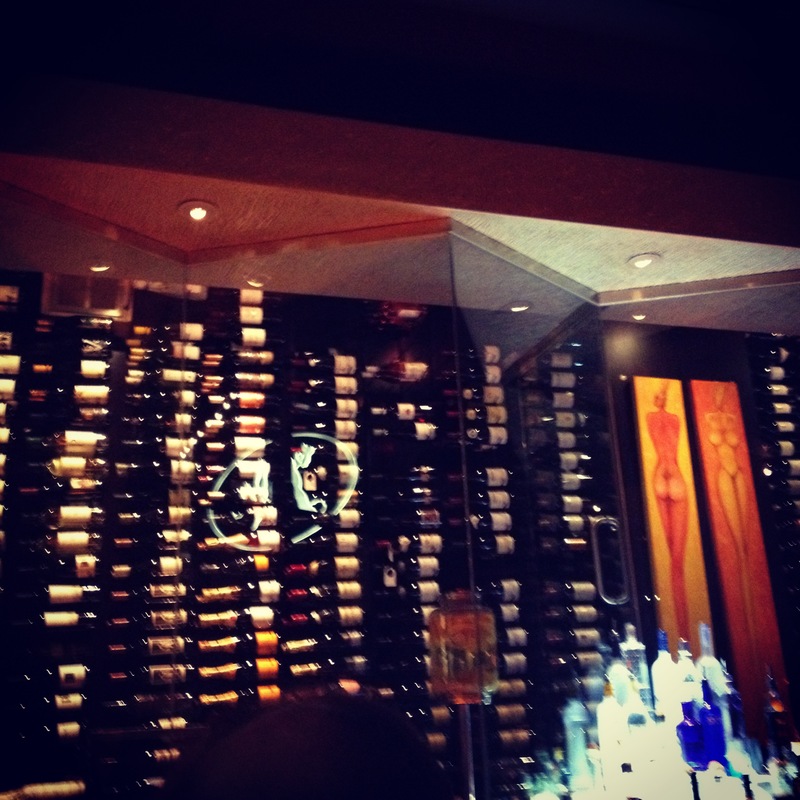 Wine case behind the bar. We were seated on time in a comfortable spot in the restaurant. We both started out with the mixed greens salad. For our entrees Jordan tried the Beef Hanger Steak (that came with Lola Fries). 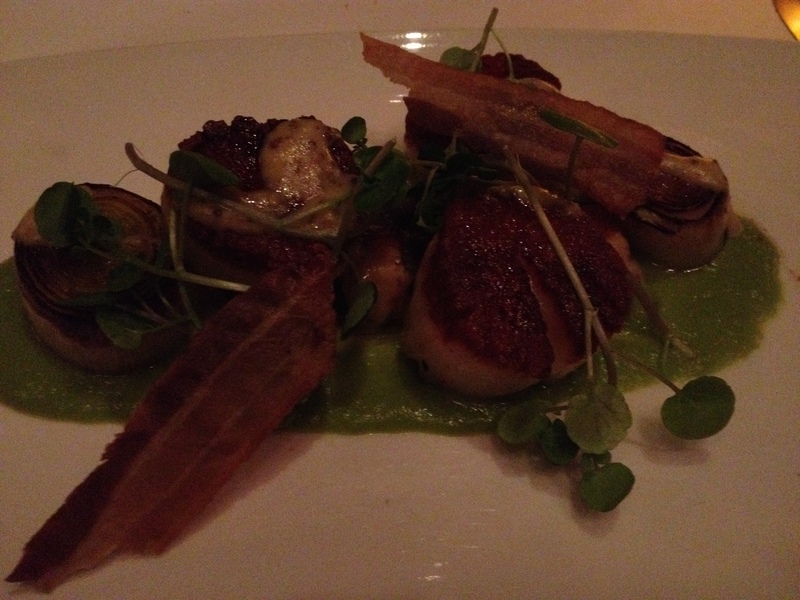 I tried the Scallops (with leek, sweet potato, mustard, and lemon). Jordan and I were both very impressed with our selections! For dessert Jordan had the Key Lime Tart and I had the Dark Chocolate Bread Pudding with Salted Carmel Ice Cream (YUM!!). Jordan and I were very pleased with our restaurant choice for restaurant week. We always try to participate every year and the past few times Jordan and I walked away disappointed. Lola is definitely a place we will come back to!